Bill has been the man about town, for about the last 40 years maybe more. I have memories seeing him on his bike while I walked the streets of Manhattan in the late 80's. He was already an Icon, everyone in the fashion industry knew who he was. 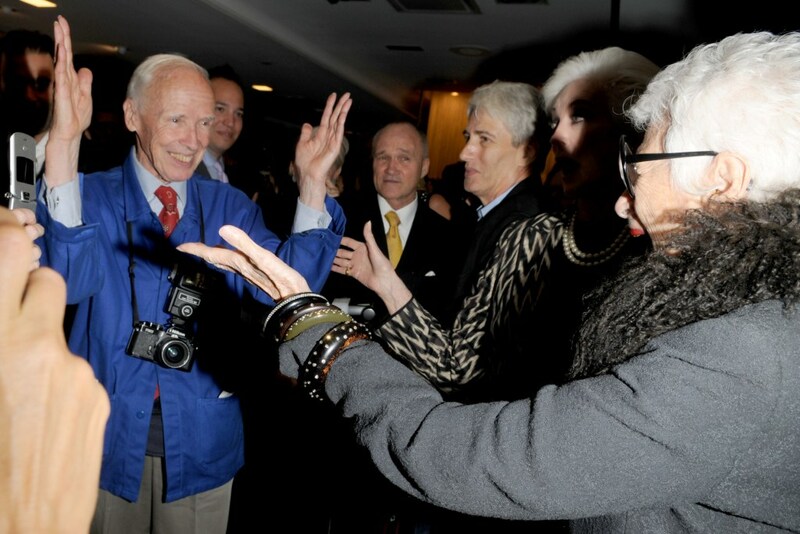 Whenever we'd see him out on the street or at some new club opening or fashion party, we would always say "Hello Bill!" It really didn't matter to any of us that we actually knew him because if you worked in any part of the fashion industry in NYC you would see him everywhere. He was always on hand with his camera ready to shoot. I personally think he liked us greeting him with a "Hey Bill" he would always smile and say Hi, sometimes he'd take a picture of me or my friends. I have always wondered if he had me in his vast files of photos. But from what I have heard his files are deep and big and really who knows. For as long as I remember he was this white haired guy with a smile on his face, and to tell you the truth I think riding that same bike. Bill is the first true street style photographer, he forged the path that many follow today. A quote from Bill on Bill in the New York Times tells how it all started. I heard about this documentary a while back but it's opening so very soon now and I can't wait to see it. The final quote from Bill on Bill you might just want to hop over and read it yourself. Just take a look at the trailer I guarantee if you have never heard of him before you'll love him and his Genius. wow..what an amazing man. never did hear of him, but i'm definitely intrigued! I hadn't heard of Bill...What an incredible story. I will definitely be going to see this. I saw this video a while ago, and I was touched by what he said, and I shard: if you don´t take money, they cannot tell you what to do. Thank you for remindeing me of his greatness. This man seems so amazing. It's such a lovely thing that he still does what he loves even to this day. 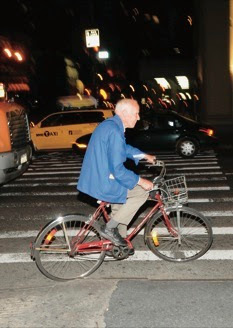 I adore Bill Cunningham! 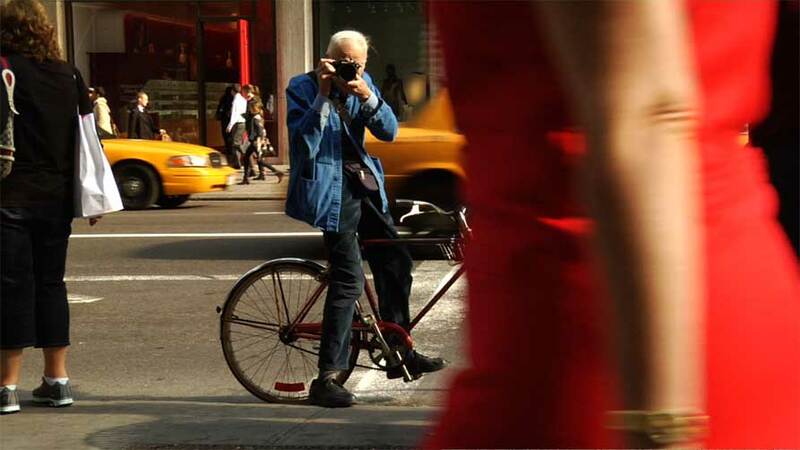 Thanks so much for doing this post on him, I can't wait to see the documentary about him, I mean if there was ever an interesting man to make a film about it would be Bill Cunningham. He was my inspiration to do street fashion. I love is eye for style. I absolutely agree with his quote you posted. If you just cover the runways and designers you don't get the whole picture. It's important to see how it filters down to the street. What people who have to pay for their own cloths are wearing and how they mix and match to create their own style. I really feel it's to bad that more of the younger bloggerazzie aren't familiar with Bills work. They might be more inspired to break out of the just stand there or drag them into the middle of the street for the firing squad style pics that are so prevalent you can't tell who took what. I bump into Bill all the time walking the streets. I always say Hi he always nods back. We never talk much probably because we're both to worried we'll miss the next shot. Yes were lucky the looks come at you fast and often here in Manhattan. He still shoots film and it seems rarely takes more than one or two shoots. I love this guy. this man is a legend, so everybody should bring a tribute to this man, thanks for sharing. Haha what an awesome old man. He's a very inspirational fashion scavenger of sorts, the kind of radical, underground 'outsider' that definitely deserves a documentary. AH! This is so incredibly awesome! Bill Cunningham is amazing! =) Thanks so much for sharing! Wow what an inspirational man. I'm so glad they are making a movie about him! I definitely want to go see it. He really is THE original street photographer. Can't wait to see this documentary - thanks for letting us know!